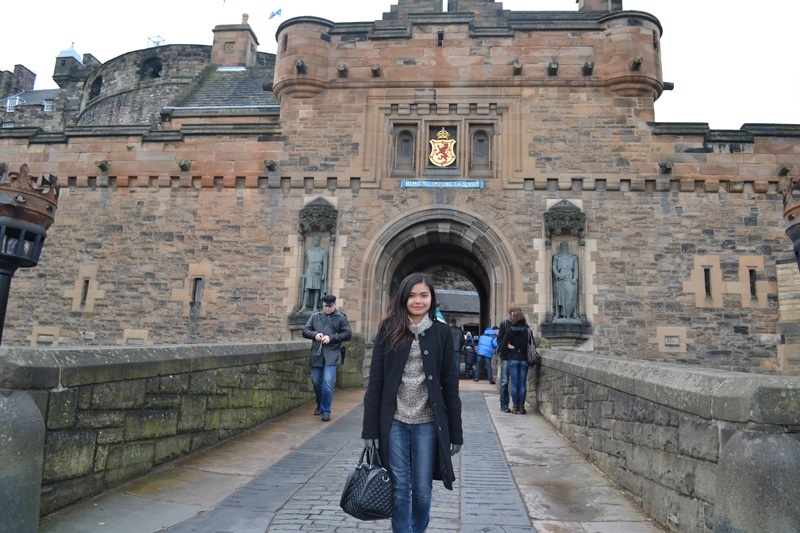 Edinburgh Castle, a world-famous visitor attraction, has dominated the skyline for centuries. This massive fortress was a defender of a nation, home of royalty and an army headquarters. 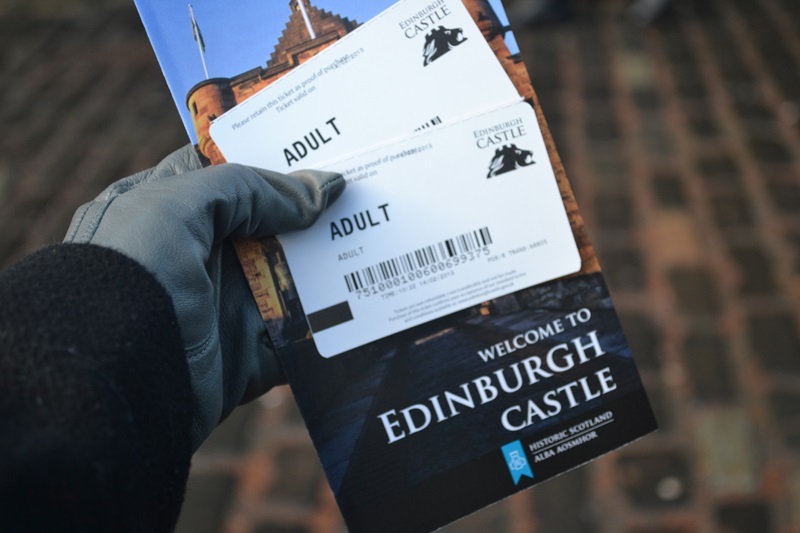 Today it houses Scotland’s Crown Jewels, Military Museums, the Scottish National War Memorial, the Prisons of War exhibition, etc. 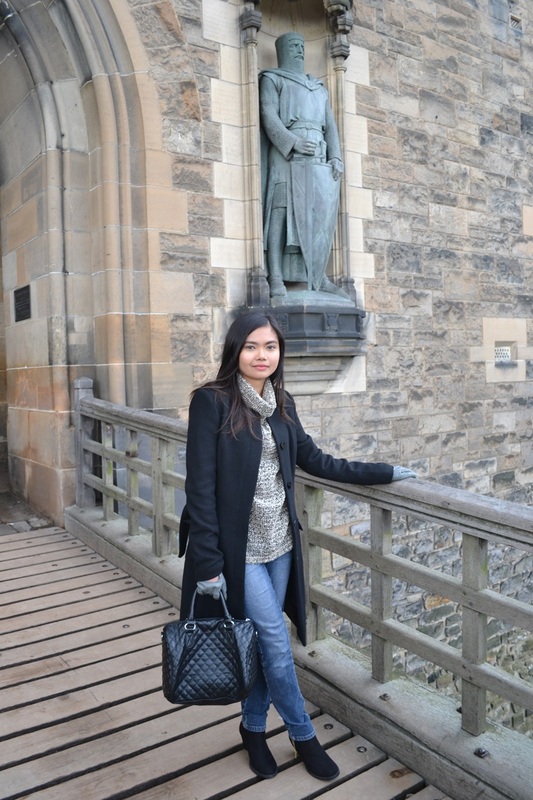 One of the biggest highlights of the visit was seeing The Honours: The Scottish Crown Jewels. The Crown, Sceptre and Sword of State are the oldest crown jewels in the British Isles and were used in the coronation of Mary Queen of Scots. 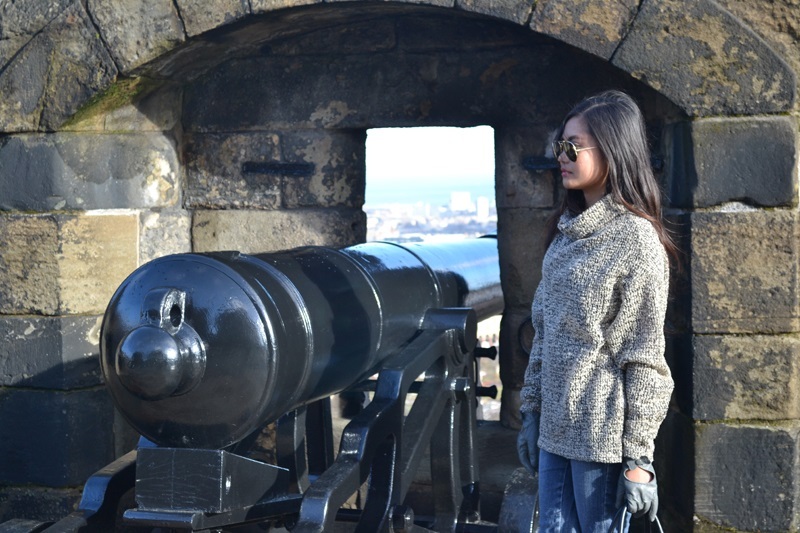 Inside the castle is the National War Museum, which showcases 400 years of Scotland at war through personal accounts, military artifacts and treasured collections. 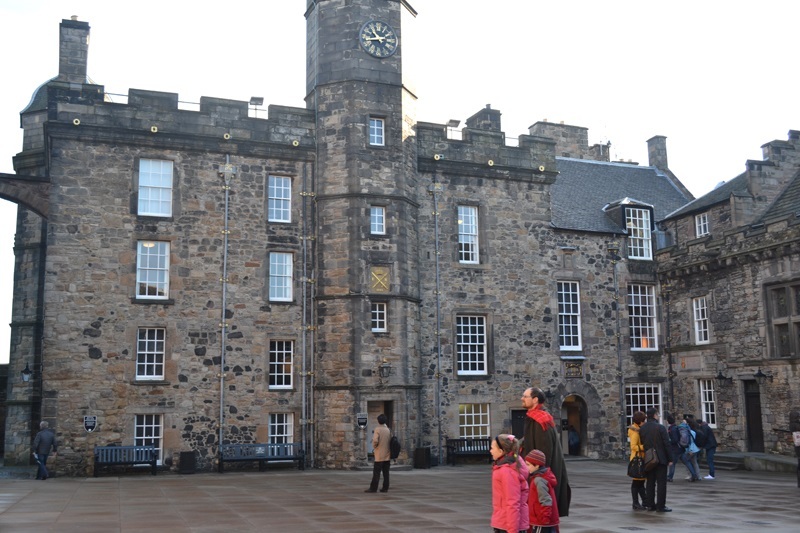 Crown Square, the main courtyard, is where the Royal Palace, the Great Hall, the Queen Anne Building and the National War Memorial are located. 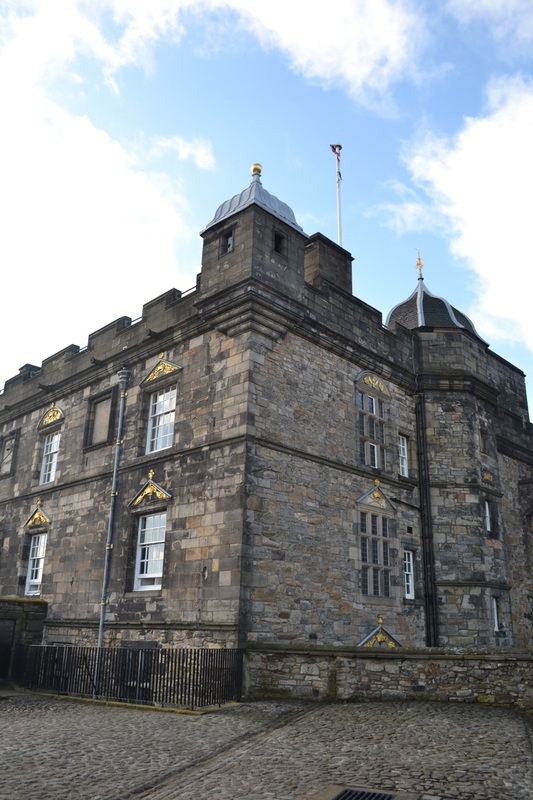 The Royal Palace comprises the former royal apartments, where a series of scenes depicting key events in Scottish history can be seen in a permanent exhibition. 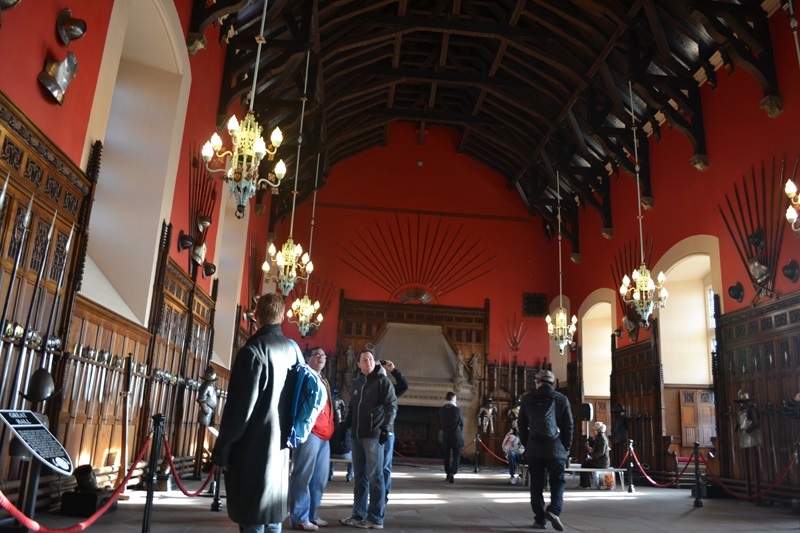 The Great Hall was built for King James IV as a majestic setting for ceremonial occasions and was converted into a soldier's barracks by Oliver Cromwell. It was restored later and used today for State and Royal functions. Its famous medieval hammerbeam roof is one of the most remarkable in Britain. 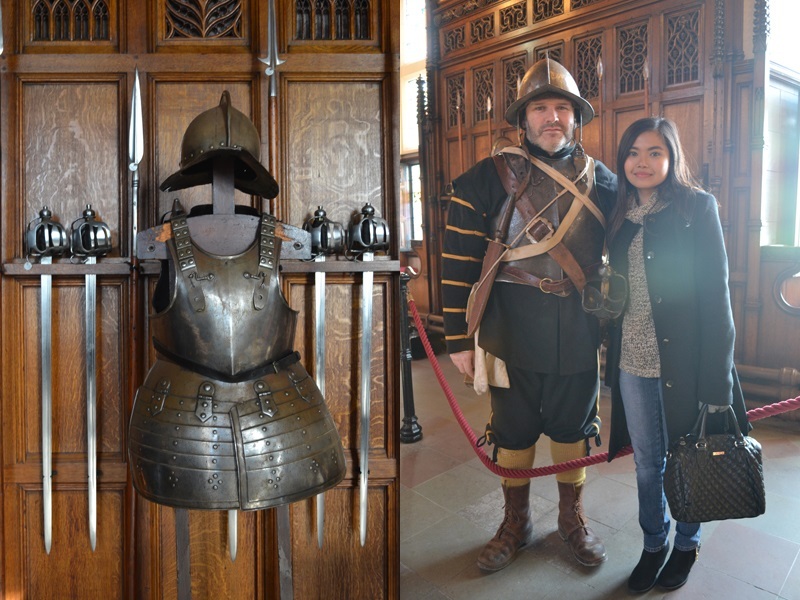 As you can see, the Great Hall holds a fine collection of armor and weapons. I also had a chance to have a photo opportunity with a man dressed in a 17th Century soldier's uniform. 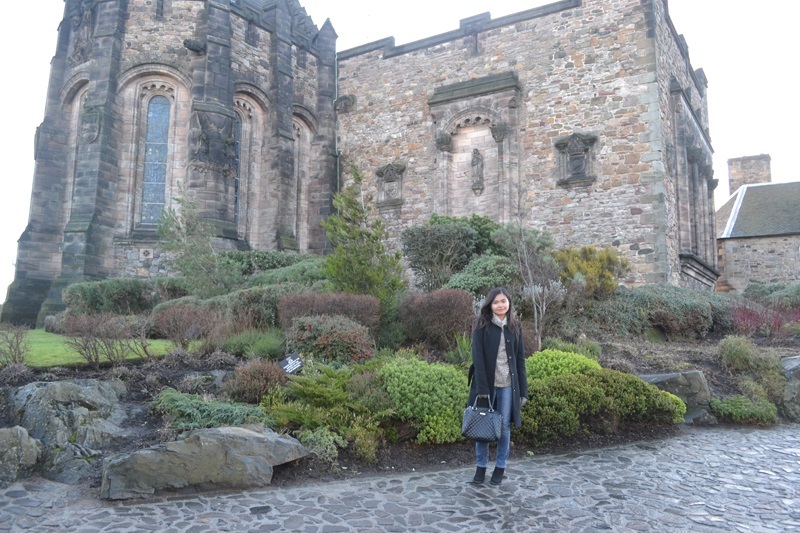 The building behind me is the Scottish National War Memorial, which commemorates the men who fell in the First and Second World Wars and of military campaigns since 1945. 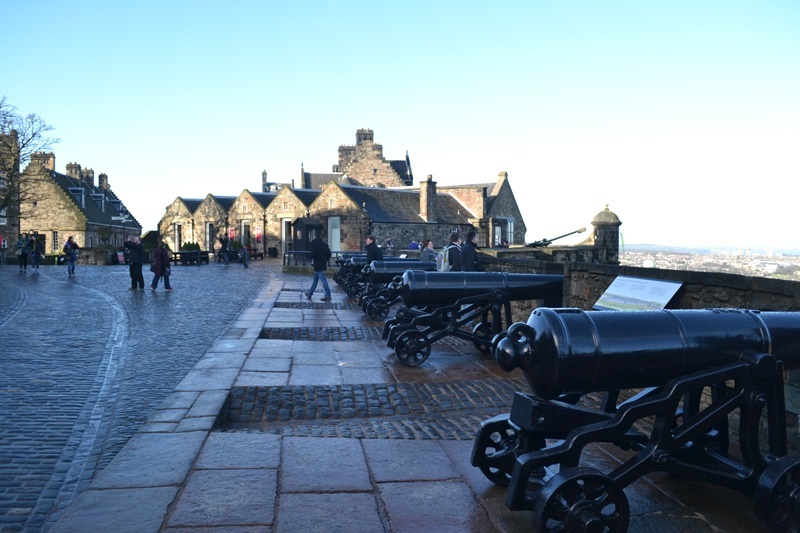 Another feature of the tour is The One O'Clock Gun, a time signal that is fired at exactly 1PM every day except Sundays, Good Friday and Christmas Day. 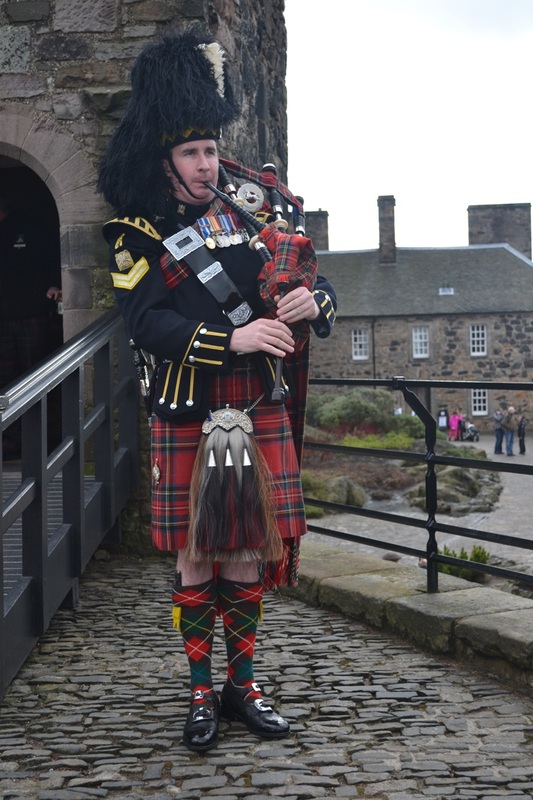 Right before leaving the castle, I took a photo of this bagpiper from The Edinburgh Military Tattoo and spent some time browsing in the gift shop for souvenirs. 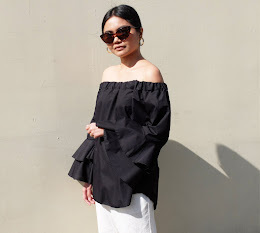 For more information about the brands I'm wearing and details of this outfit, you may read this post. nice shots! and this place looks lovely!